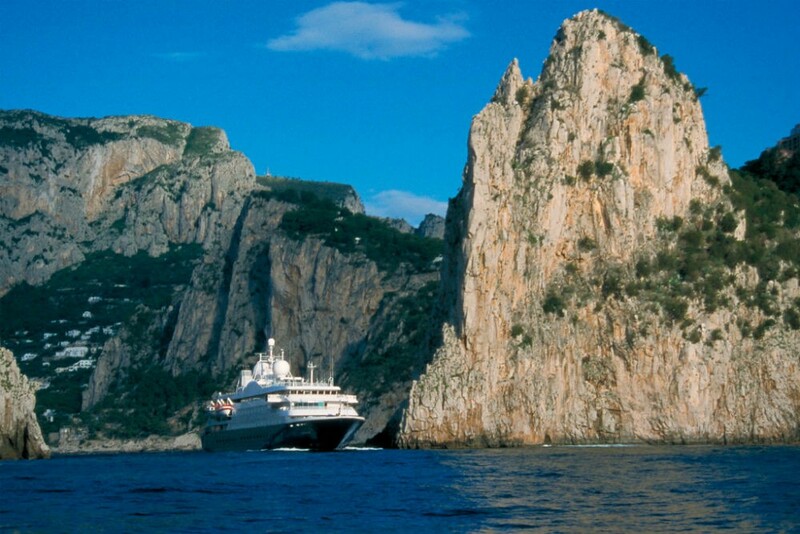 Silversea’s Silver Whisper is a boutique-sized vessel that offers sophisticated itineraries. Clients rave about the Silver Suites—650-700 square feet, all located mid-ship—which have a layout designed for good flow and lovely appointments such as Pratesi linens and Bang & Olufsen sound systems. With just 382 guests, the Silver Whisper is perfect for a Baltic cruise, as it’s typically able to dock right in downtown St. Petersburg, thus avoiding the 30-minute ride from the outer port and allowing passengers to enjoy the night scene of the palaces lit up along the river. Crystal Serenity fits 1,000 passengers, making it the largest ship in its price range, but it never feels overpopulated. Lines just do not exist on board, whether for the lido buffet or boarding tenders—and the size of the vessel allows for wonderful public spaces and a variety of activities, from multiple restaurants to educational lectures to spinning and yoga classes in the gym. Though you can occasionally find deals, it’s not unheard of on popular sailings to pay the same price for a cabin, whether single or double occupancy. Dining is a tricky issue, so I like to send solo clients on Crystal, where they can either eat at their assigned dining table with likeminded travelers, or find a perch at the open-seating Sushi Bar, part of the signature Nobu restaurant. Deluxe cruising today is a foodie’s playground, with trained sommeliers, fine design, and inventive menus. Seabourn has just joined forces with the French Laundry’s famed Thomas Keller, who has started to design dishes for the ships’ restaurants and will open his own dining space onboard the Seabourn Quest in April 2016. Crystal now offers two menus in their main dining room—a classic menu of traditional favorites, alongside a modern menu of more creative dishes—plus the ever-popular Nobu eatery. A few times a year, Crystal hosts a blowout food-and-wine experience, at a breathless $1,000 per person. The first included an eight-course meal prepared by Master Chef André Soltner (of Lutece fame), paired with a nearly impossible-to-get 1959 Château Lafite-Rothschild Bordeaux and a 1996 Napa Valley Screaming Eagle Cabernet Sauvignon, a cult favorite. Similarly, but at the other end of the spectrum, the Mariner’s category C Penthouses are identical to the others but less expensive because they are on lower decks (I actually like their forward and midship position). In the Mediterranean, Penthouse suites fares include business-class flights. Ephesus, Turkey. Photo courtesy United Travel Service. I love the mix of iconic cities and scenic beauty in the Crystal Symphony’s “Lo Stivale Interlude” from Rome to Venice (allowing you to extend your time in either city as desired). This exhaustive tour takes in not just Italy but Greece, Montenegro, and Croatia too, hitting both the Amalfi Coast and the Croatian Riviera. You also gain a fuller appreciation of the water, sailing from the Mediterranean and Adriatic. 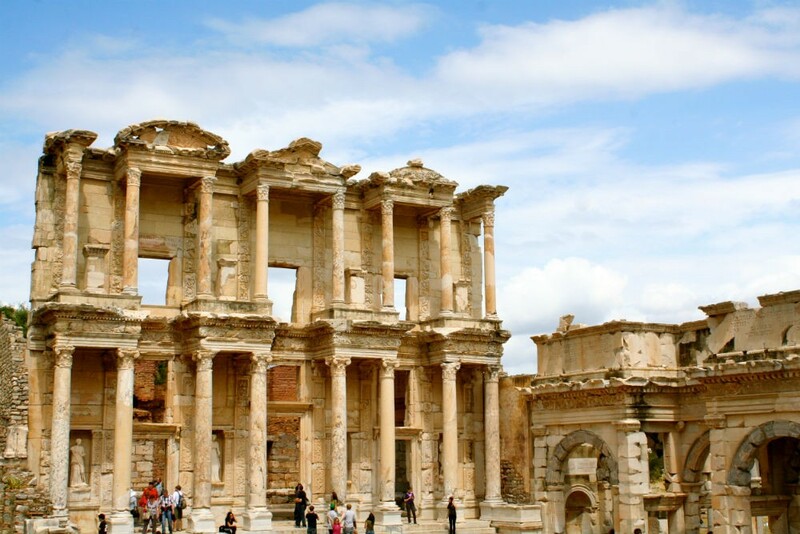 Never have my travelers returned with anything but praise for the ancient ruins at Ephesus—and now Crystal, Seabourn, and Silversea include the option of an evening concert of classical music amid the ruins, after they’re closed to the general public. I always recommend this (though you should also do a more comprehensive daytime visit if it’s your first time at the ruins). One that limits your sightseeing time by including a long midday meal. Read carefully the description of any full-day shore excursion offered by the cruise line; if it sounds like you’ll have to spend hours eating food you didn’t choose while surrounded by people you don’t know, stay away! Instead, book a tour on your own and find a local trattoria for a quick bite, or bring a boxed lunch from the ship if you really want to make the most of your time on land. 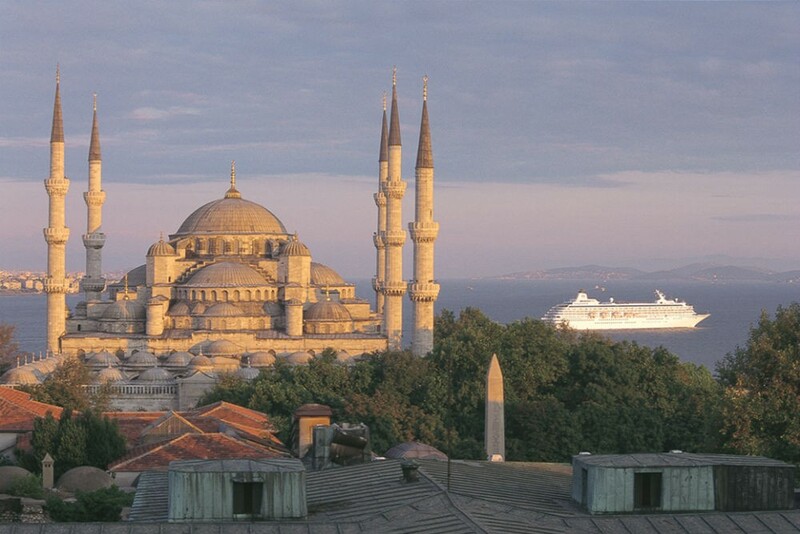 Istanbul is an exciting city that contrasts the contemporary with its Ottoman past. With limited time and so many sights, private touring is really your only way to go. I suggest chartering a private boat to sail along the Bosphorus, seeing the incredible palaces and contemporary homes of Istanbul’s rich and famous, followed by a seafood-inspired meal along this waterway and a walk around the Old City. Istanbul, Turkey. Photo courtesy Crystal Cruises. Sailing into Stockholm—via its archipelago of more than 30,000 islands, islets, and rock formations that stretch 48 miles to the Baltic Sea—is not to be missed. The topography and colors change constantly as you pass beautiful grand homes and small farmhouses. Stockholm typically comes at the beginning or end of an itinerary, and while departing from this port in the afternoon is lovely, there’s nothing like approaching during the magical light of the morning. Photo opportunities abound, and I suggest that travelers make sure to get up early when sailing into Stockholm (at least two hours prior to scheduled arrival) and be stationed at a window, or outside on a nice day, to fully take in this sight. Visby, Sweden is a quaint, charming place that occasionally shows up on Baltic itineraries. Biking from the ship to this walled medieval town (a UNESCO World Heritage site) is the perfect way to get some fresh air after a few days in city ports such as St. Petersburg.